Recently, I decided it is one of my goals to make croissants from scratch. A few months ago I found a recipe, which calls for another recipe - both of which looked to be long and tedious and require a not-insignificant time commitment. Training for the marathon precluded any such commitments, so I postponed the endeavour - until now. Earlier this week, I stocked up on the ingredients, including a pound of European butter. This afternoon before I started, I geeked out and created a spreadsheet that shows each step in making the dough and its duration, so that I'd be able to very efficiently calculate when the dough would be finished. The dough needs to rest for at least 8 but no more than 18 hours before baking, which would be a manageable window if I didn't have plans to cheer myself hoarse at the marathon for most of tomorrow morning. Next, I kneaded the dough for a couple of minutes. (Aside: I *love* kneading dough.) After the all-too-short dough-kneading, I shaped the dough into a rectangle, wrapped it in Saran wrap, and put it in the fridge. Next: "Pound butter with a rolling pin." Awesome. DLang was napping on the couch, so I leaned over gently and said, "Oh, hey. The next part is going to be a little noisy. Sorry about that." Heh. The flattened butter went in the fridge for some chillin' and the dough came out for some rollin'. I was quite delighted to see that it had risen slightly (science schmience, rising dough is definitely magic). Rolling croissant dough is more fun than for other things because it involves rolling to a very specific size (16"x10"). I then laid the rectangular butter in the center of the rectangular dough and folded each end of dough over. (The instructions in the recipe for this part are very good, so I won't rewrite them here.) I didn't take any pictures at this point because yellow on beige doesn't photograph very well. At 7pm I finished the last of 4 folds for the dough. Elapsed time: 5 hours. The dough is now refrigerating until tomorrow morning, when I'll get up at some ungodly hour to roll and cut the dough, which then has to rise for another 2 hours before the croissants can be baked. Since the recipe makes 24 croissants and can't be halved, I'm going to make a dozen croissants and a princess ring (mostly because it's called a "princess ring" and that just seems too precious not to make). This is so awesome! I thought you had to fold and roll a lot more times than that, I can't wait to hear how they turn out. 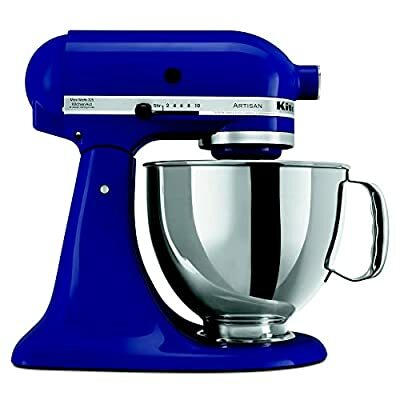 I never use my stand mixer, I think because it's hidden away so I don't think to pull it out. Also, I'm pretty sure your writer's block is because there's no potential life that could be better than a commune in Santa Cruz.